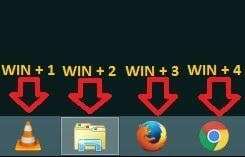 Say you have bunch of pinned task bar app, little did I know you can launch it using your windows key + 1, 2, 3 (any numbers based on your app placing sequence). It doesn’t work with numpad though. So let’s get started. Reorganized and prioritized the app on your pinned list. Save that few milliseconds to procrastinate. If you would like to test the prowess of bpython and you happen to use a Windows machine, tough luck. By right there is no official support for Windows. bpython officially built and supported in Linux environment only. If you proceed to pip install bpython you might installed the lib just fine. But when you try to launch it from your terminal you may ask to install additional missing libs which is ftcl and _curses lib. Getting started. Setting up chrome webdriver environment. This is a just basic tutorial on how to setup the environment. Will not touch a specific selenium testing. Maybe I’ll create a separate tutorial for that. Spotify is a free music streaming. A programmer’s best friend besides coffee. I used Spotify a lot, not to the extent I would subscribe to a paid version. Well if you really need the offline music features by all means go ahead and buy it. If not you can try use this ad blocker, named EZBlocker. Ace Stream is a P2P base streaming application. Imagine torrent? But this time instead of uploading files, it will share the bandwidth for streaming live match. The more user on your local network (connected peers) the better your streaming quality would be. Need an alternative to work on other than the normal boring windows CMD? You can try CMDer. It is a console emulator. With hefty features UNIX like commands, portability and built in GIT init. 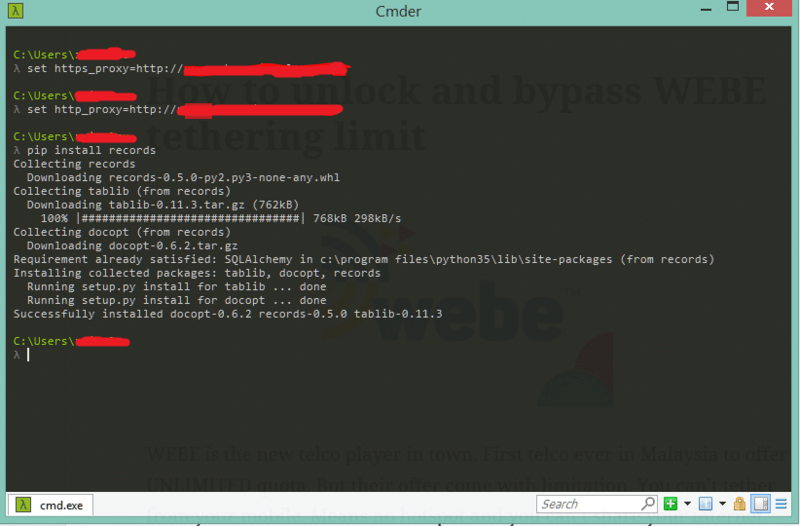 WEBE is the new telco player in town. First telco ever in Malaysia to offer UNLIMITED quota. But their offer come with limitation. You can’t tether from your mobile. Means no hotspot and you can’t share your internet on other gadgets.